Froggys Fog Faze Haze is designed for a wide variety of water based Hazers. A very fine veil of airborne canvas is produced exposing light beams with a moderate refraction rate. Faze Haze is a premium water based haze fluid. It's Formulated to produce a beautiful, translucent canvas of haze with a long hang time. 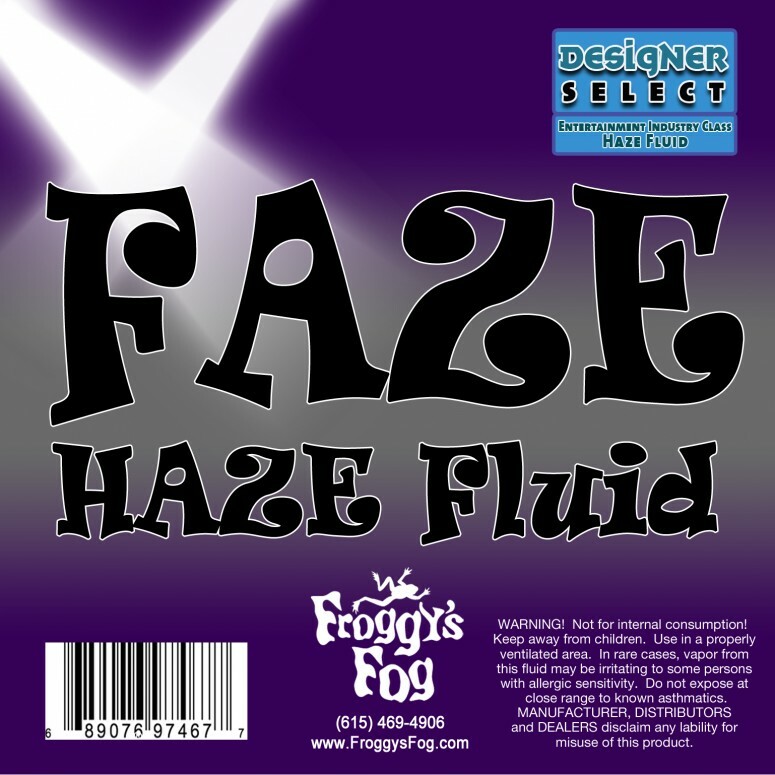 Until you've tried Faze Haze by Froggys Fog, you'd never realize how good your lights could look. It's perfect for any venue or facility, it's 100% odorless, and is designed for Antari F-1, F-5, F-7, Chauvet Professional AMHAZE 2 and Martin Compact Hazers.